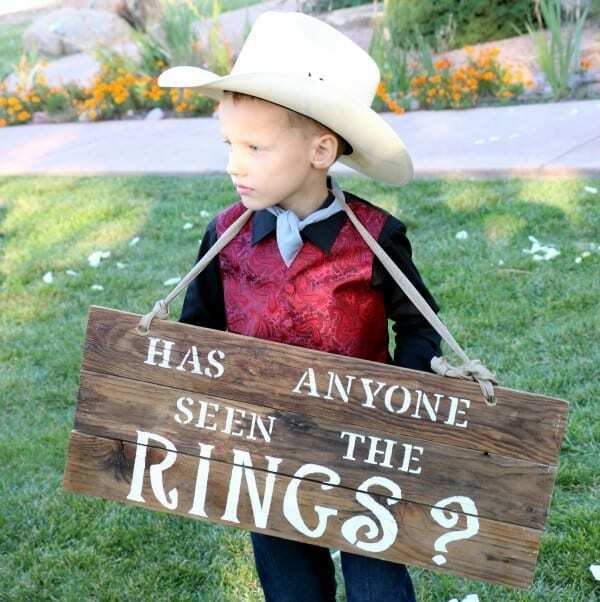 DIY Ring Bearer Pallet Signs for Weddings - Adding originality and humor to your Wedding Ceremony. Isn’t he adorable??? 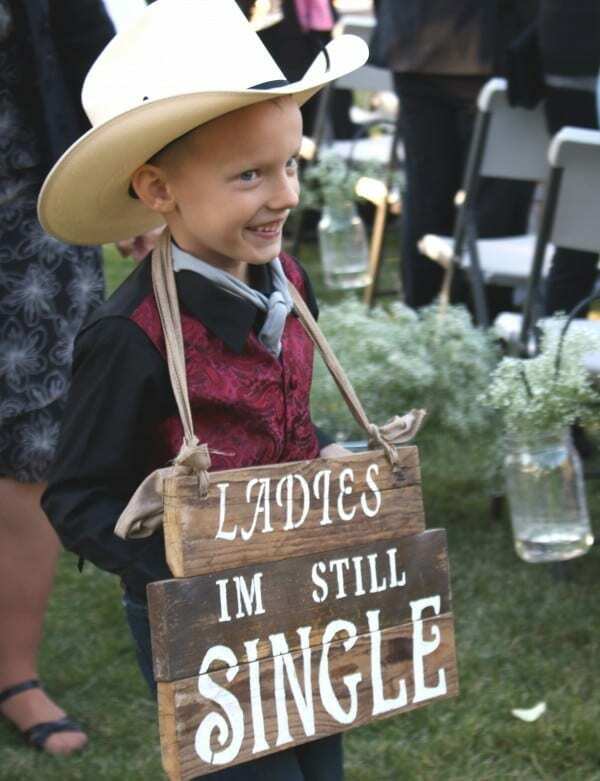 This is my handsome young nephew, who was the perfect ring bearer and model for my wedding, holding these adorable DIY Ring Bearer Pallet Signs. As you might have noticed, these are actual pics of him walking down the aisle during my ceremony. 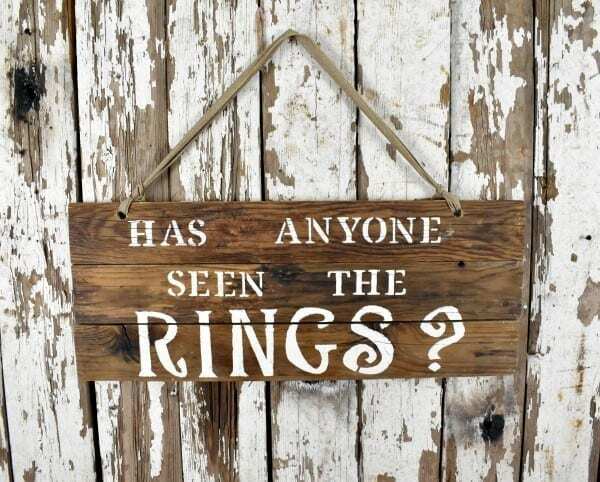 Having him carry these fun signs (rather than the traditional pillow with the rings), added a dash of super-cuteness, originality, and a bit of humor to my wedding ceremony. 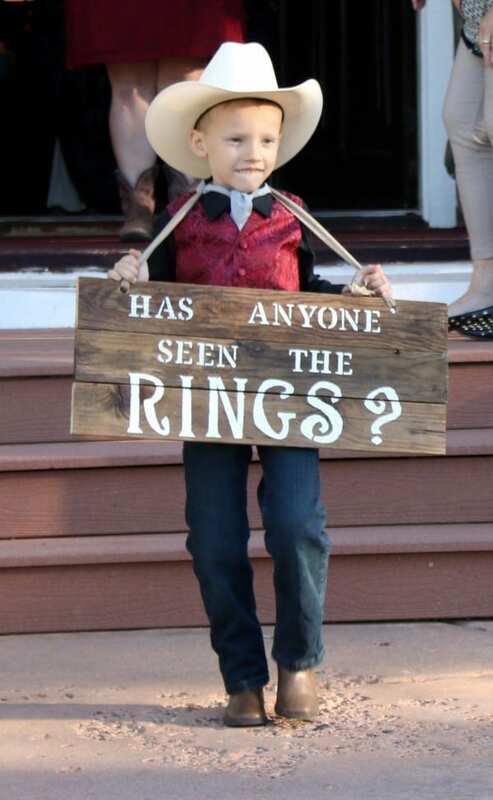 No one was able to keep a straight face as he walked by, and everyone will remember this part of the ceremony because of my cute little ring bearer holding these adorable signs! 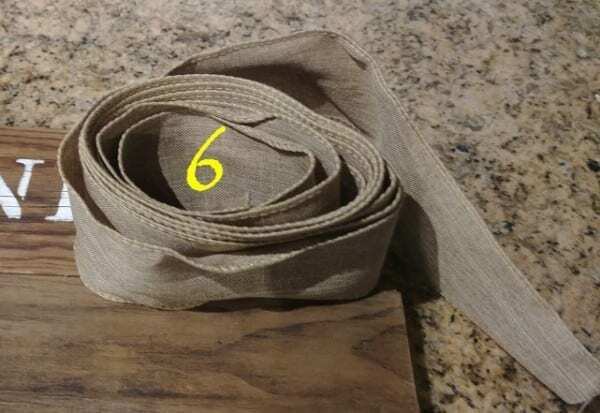 Rustic-looking ribbon (make sure it’s wide as it disperses the weight of the sign better than a thin ribbon) My ribbon was about 2 1/2 or 3 inches wide. 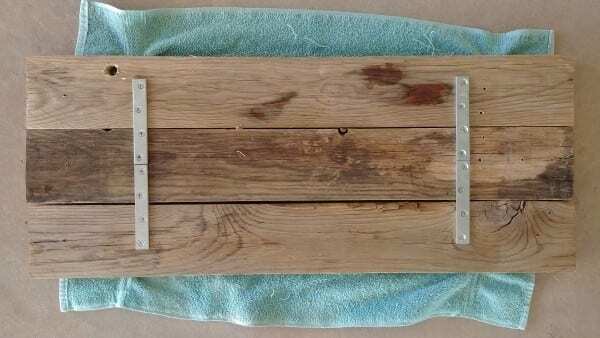 I cut 3 pieces of wood (1 x 4s) approx. 26 inches long for this sign. 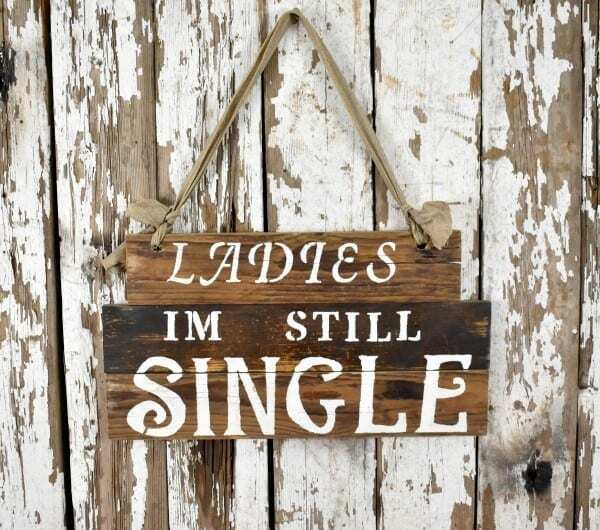 For the second sign, I cut 3 odd sized pieces of wood (1 x 4s) at approx. 19 or 20 inches in length. 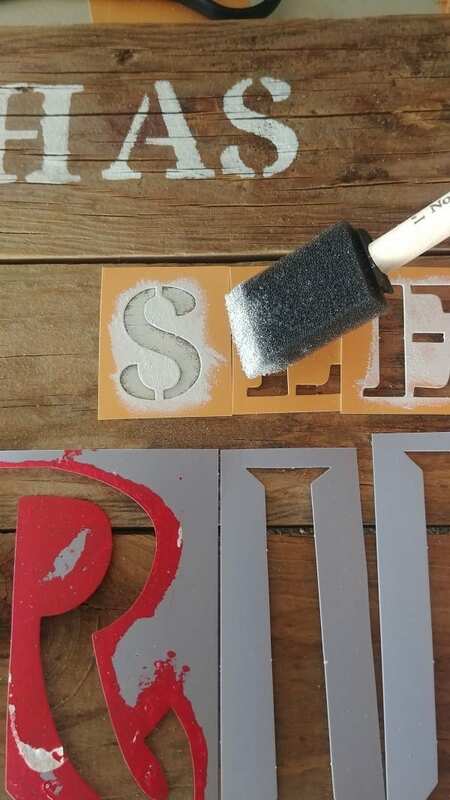 Flip the wood to the front and place the stencils where you want your letters. 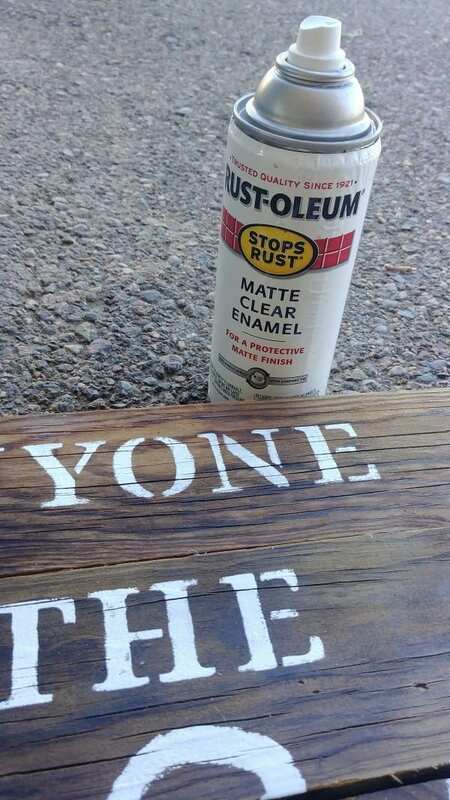 Carefully dab on the acrylic paint into each stencil. 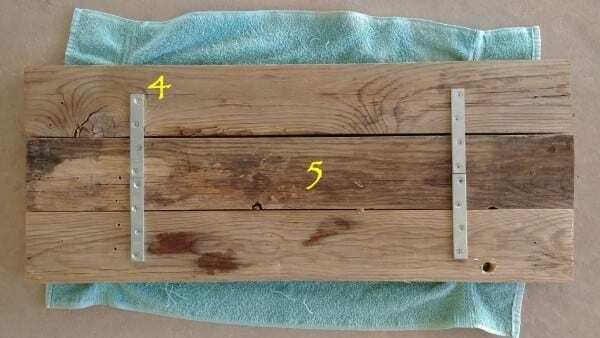 Thread the ends of the rustic-looking ribbon through the holes and make a knot at each end. 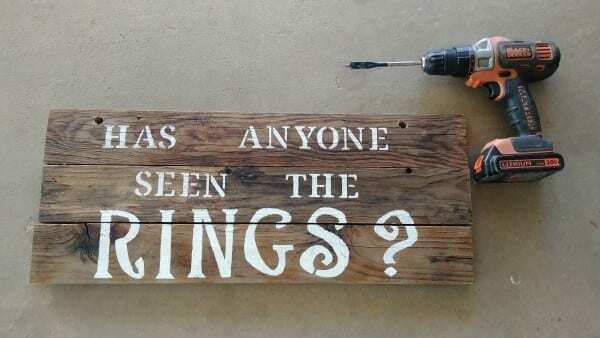 It’s ready for that cute little ring bearer to show it off! Ash wanted to get in on the action also. 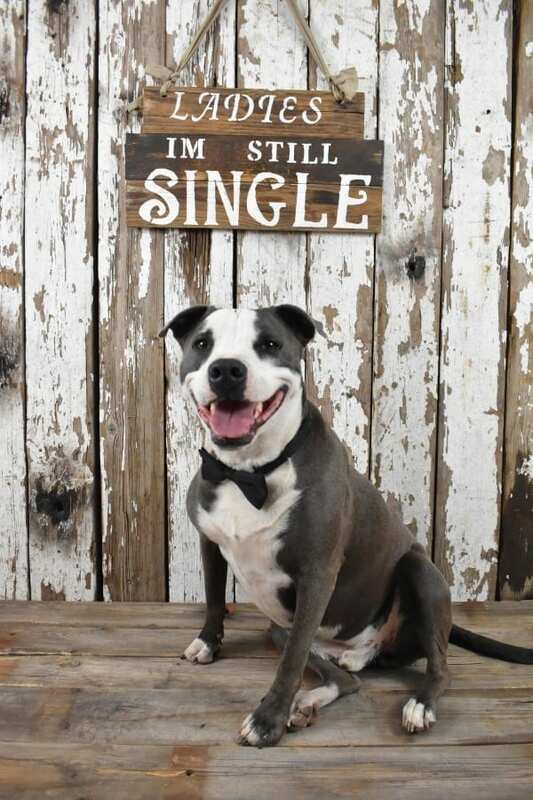 He even put on his favorite black tie. 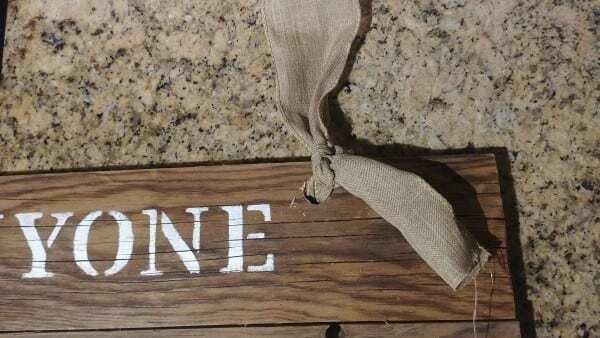 These ring bearer pallet signs certainly made our ceremony more memorable and fun. I hope you will consider making them for your wedding. You will be glad you did!